← Should I renovate or just sell as it is? 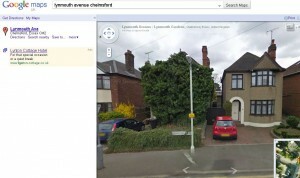 Amazing pictures of an ivy covered house in Chelmsford. The house should sell for £350,000 – even in today’s market – but the agency is asking for offers above £120,000. The highest bid has been £172,000. The daily mail says that A spokeswoman for Bairstow Eves estate agents in Chelmsford said they are not marketing the property on the internet or in their shop window because the owner does not want the sale made public.